Listed below are homes for sale in North Lake Mendota, a neighborhood located in North Madison, WI. Listings are updated multiple times a day from the SCWMLS. For more information about any of these North Lake Mendota homes for sale, just click the "Request More Information" button when viewing the details of a property. We can provide you with disclosures, past sales history, dates and prices of homes recently sold nearby in Madison, and more. And, for your convenience, register for a free account to automatically receive email alerts whenever new North Lake Mendota listings come on the market that match your search criteria. Cherokee Marsh to the north; Northport Drive and Central Wisconsin Center to the east; Mendota Mental Health Institute to the south; Lake Mendota to the west. Who wouldn’t want to live in a neighborhood that bends around Lake Mendota’s north shore and unfolds north into hundreds of acres of protected marshland? If that wasn’t enough, North Lake Mendota boasts dozens of acres of parkland within its own borders. Panoramic views of marshland and the forested shores of the University of Wisconsin across the shores of Lake Mendota are everywhere you look in North Lake Mendota. Its quiet residential streets and close proximity to jobs and schools on Madison’s north side make it a popular neighborhood for young families. Located south of Northport Drive, residents here enjoy recent city efforts to rebrand the corridor as a gateway into the city. Northport Drive was rebuilt from the bottom up with new streetscapes, sidewalks, bike lanes, community artwork and signs to highlight the area’s unique attributes and to brand it as a gateway into the city. Much of North Lake Mendota was developed in the early 1990s, which makes it one of the north side’s most modern neighborhoods. The area’s agrarian roots still shine with the occasional roadside barn or outbuilding. The neighborhood is divided into two distinct residential pockets. One, tucked along the northern bank of Lake Mendota, offers sweeping views and a lake breeze on warm summer days. This neighborhood is surrounded by Meadow Ridge Park and protected marshland. A second pocket of residential development offers more modest ranch and Cape Cod-style homes, which puts the area within reach for a variety of home buyers. A commercial corridor runs along the eastern border of North Lake Mendota, and the Mendota Mental Health Campus located east of the neighborhood features a tree-lined, peaceful atmosphere. The Central Wisconsin Center Campus located in the northeastern corner of the neighborhood also offers a retreat for individuals with developmental disabilities to receive short-term and long-term care. 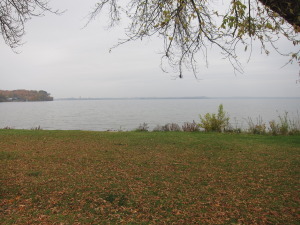 Warner Park, a hub of north side activity, is less than three miles east of North Mendota. There, neighbors enjoy Warner Beach, Madison Mallards baseball games, miles of trails and scenic sunsets over Lake Mendota from Governor’s Island. 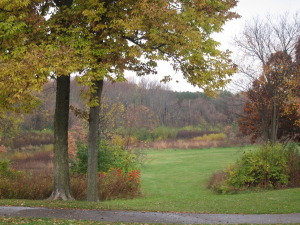 Meadow Ridge Conservation Park provides another 18 of acres of green space within North Mendota’s boundaries. The East Washington Avenue commercial corridor is just miles from North Mendota, and East Towne Mall is about seven miles east. Downtown Madison is about seven miles south of North Mendota, and Waunakee is about six miles northwest. 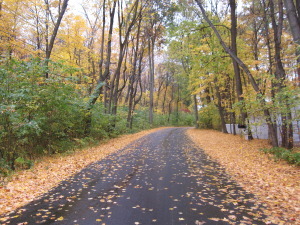 Close proximity to surrounding communities, commercial corridors and natural areas make North Mendota a unique north side neighborhood. For information about finding a home in the North Lake Mendota neighborhood or to sell your North Lake Mendota home, contact our team for a better real estate experience. The North Lake Mendota neighborhood is located on the North Side of Madison in MLS area Madison – E03. Below are more homes for sale in that area.